First, let us begin with the legal framework and general rule of COBRA, note the exceptions, and perform the basic analysis to see which employers and group health plans are subject to COBRA. COBRA is a federal law which amended the Employee Retirement Income Security Act (ERISA), the Internal Revenue Code (Code), and the Public Health Service Act (PHSA). The provisions found in ERISA and the Code apply to private-sector employers sponsoring group health plans; the PHSA provisions apply to group health plans sponsored by state and local governments. COBRA regulations have been issued by the Internal Revenue Service (IRS) and the Department of Labor (DOL). The general rule is that COBRA applies to group health plans sponsored by employers with 20 or more employees on more than 50 percent of its typical business days in the previous calendar year. This rule must be broken into its elements, applying the exceptions, and determining whether an employer is subject to COBRA. After that determination is made, it must be determined what plans must be available for continuing coverage and what individuals are entitled to an election of coverage. Most employers are subject to COBRA. An “employer” is a “person for whom services are performed.” Employers include those with common ownership or part of a controlled group pursuant to Code sections 414(b), (c), (m), or (o). Successors of employers, whether by merger, acquisition, consolidation, or reorganization, are also employers. Many times, COBRA issues, and benefits issues in general, are overlooked when companies are merged or acquired. What group health plans are subject to COBRA? Does not being covered by COBRA relieve employers of the obligation to offer continuation coverage? The general rule is that group health plans are subject to COBRA. A group health plan is any arrangement that provides medical care, within the meaning of Code section 213 and is maintained by an employer or employee organization. The first requirement is that the arrangement must provide medical care. This includes medical, dental, vision, and prescription benefits. It does not include life, disability, or long-term care insurance or amounts contributed by an employer to a medical or health savings account (Archer MSA or HSA). The second prong is that the arrangement must be maintained or established by the employer. This includes multiemployer plans, an employee benefit plan that is maintained pursuant to one or more collective bargaining agreements and to which more than one employer is required to contribute. More than just insurance plans are subject to COBRA. The arrangement may be provided through insurance, by a health maintenance organization (HMO), out of the employer’s assets, or through any other means. However, there are several group health plan exceptions to COBRA, and the plans excepted by the general rule may still be obligated under another law to provide some sort of continuation coverage. Exception #1. COBRA does not apply to plans sponsored by the federal government or the Indian tribal governments, within the meaning of Code section 414(d). 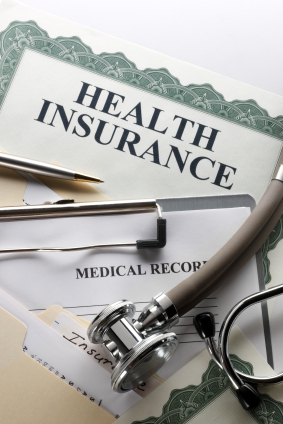 Although COBRA does not apply to federal governmental plans, the PHSA, amended by COBRA and overseen by the Department of Health and Human Services (HHS), generally requires that state or local government group health plans to provide parallel continuation coverage. Additionally, the Federal Employees Health Benefits Amendments Act of 1988 requires a similar continuation of coverage for federal employees and their family members covered under the Federal Employees Health Benefit Program. Exception # 2. COBRA does not apply to certain plans sponsored by churches, or church-related organizations, within the meaning of Code section 414(e). Exception #3. COBRA does not apply to small-employer plans. Generally, a small-employer plan is a group health plan maintained by an employer that normally employed fewer than 20 employees on at least 50 percent of its typical business days during the preceding calendar year. Who are employees and what employees count toward the threshold? All common law employees of the employer are taken into account when determining if an employer is subject to COBRA. Therefore, self-employed individuals, independent contractors and their employees and independent contractors, and directors of corporations are not counted. The threshold number of employees is 20, counting both full-time and part-time common law employees. Each part-time employee counts as a fraction of a full-time employee, with the fraction equal to the number of hours that the part-time employee worked divided by the hours an employee must work to be considered full time. Now that we know generally who is subject to COBRA from an employer standpoint and what group health plans must be offered, the next step is to determine – from an individual’s standpoint – who is eligible for COBRA coverage, when that person is entitled to coverage, and how long the continuation coverage lasts.